Carmen Hui creates beautiful delicate illustrations inspired by nature, with a touch of Australiana! Having loved drawing ever since she was young, Carmen has followed her passion, quit her 9-5 job and turned it into a career. Carmen takes the time to learn about the animal or flower featured in her pieces while drawing and has created some beautiful pieces - our favourite has to be her Vegemite & Natives print! Read more about Carmen and her inspiration in our monthly featured artist blog. Traditionally, buying a monitor is a trade-off between features and quality. In particular, to get a wide gamut AND 4k monitor with good quality colour reproduction, has, until now, been very expensive. The BenQ SW271 is a new high quality, wide gamut, 4k (UHD) LCD monitor at a very reasonable price point of just $1699. In many ways it is a sign of things to come - affordable 4K monitors suitable for serious imaging work. At a price point not too far above current 2K options, this will without doubt be a wildly popular option for photo and imaging enthusiasts. But - is it, in fact, any good? The short answer is - yes, it is. Really quite good indeed. I'm not a 'proper' monitor reviewer as such (and in my opinion, most of the folks that claim to be on the web aren't either!!). I evaluate monitors entirely from the perspective of how well they work, in practise, for professional imaging work. To do this, I replace my day to day monitor (Eizo's CG277 - an incredibly high quality machine that I dearly love), for a period of at least a several days, and then do all my usual work on it. Image editing and evaluation, mostly in Photoshop and some Lightroom. Email. Far too much email! Thus, the monitor is evaluated for both general purpose use, and in the context of high end fine art imaging work. I also make sure I put these screens in front of customers for real world feedback. I am much more interested in practical results than in taking minute measurements of things that probably don't actually affect most people's work in actual practise. But I do have a very well trained and picky eye, having used a very wide selection of the world's finest monitors for over 15 years of professional colour work. Put simply, if *I* can do my day to day work on a monitor without hindrance, then the monitor will work well for almost any professional or enthusiast image maker. There are times when I need something even better, but those more demanding tasks are not part of day to day imaging use for 'normal' people who don't run a high end imaging business with hundreds of customers to please each and every week. Put simply, I am not easily impressed by a lot of monitors, although things are overall MUCH better today than 10 (or even 5) years ago. Monitors from lines such as BenQ's SW line, (like the one evaluated here), now offer remarkably good performance for a very reasonable cost - less than the cost of just one decent lens. As I have told no end of people over the years, your monitor is the single most important tool in your entire imaging workflow. 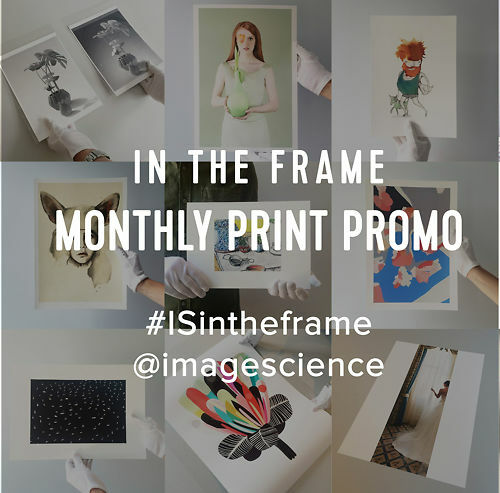 Photographer, illustrator, graphic designer, whatever - if you're a visual artist, the simple fact is that the bulk of your time is spent in front of - and your decision making is based on - your monitor, when it comes to imaging work. You will use your monitor for literally every image you make, and the same can not be said of any other equipment in your workflow, be it a lens or a Wacom tablet. A good monitor makes all aspects of high quality imaging work easier & more pleasurable, and is the most important tool needed to produce high quality work. Let's summarise the many key features the SW27 has to offer - especially those that make is suitable for still image (photo, VFX etc) and moving image (NLE, grading etc) work. Include excellent ergonomic stand, with plenty of adjustment and pivot support. VESA 10 by 10 mount compatible. Easy clip on/off. & More - see full product page! There's no question it has pretty much every feature you could look for in this segment, and is simply unmatched in terms of value at just $1699. The key question is, how well do these features work, and how is the quality level? The short answer is it all works very well, and the quality is very good. Read on for more! The box my BenQ SW271 arrived in is gargantuan - almost twice the volume of the SW2700 box size! It is unclear why this is - certainly the screen is very well packed, and removal of the screen from the box was much easier than with some of the other BenQ models. But overall the packaging does seem a little needlessly large versus other 27" model monitors. Fortunately with free shipping on all BenQ monitors to any Australian address, this won't mean an increase in cost to the purchaser! Assembling and plugging in the monitor took no more than 5 minutes and was simple. As always the best approach is to have a clear table surface available with something soft on it - I use a felt blanket typically. The main panel of the screen is carefully laid face down on this soft surface, and the stand is attached with a super simple click in process. In this case the stand itself is two pieces - the main stand shaft, and a broad & very sturdy bottom plate, again easily assembled. Once put all together, the result is a good looking machine. The design is near frame-less, with very narrow bezels around the top, left and right, and a thicker panel at the bottom with real buttons - rather than touch buttons that are fancy to look at but annoying to use in practise. The real buttons do lack labels though, which means it's initially a bit of a mystery as to what each button does. This is such a frequent mistake monitor makers make - a simple series of real, labelled buttons is by far the most useful option. The stand no longer has the V legs and the new bottom plate design is simple and professional, a big step forward in professional looking design for BenQ. The monitor comes with a (programmable) 'HotKey' puck for making quick mode adjustments. This attaches at the rear and settles into a circle at the base of the monitor stand, but personally I really wish it was cordless as the dangling cord takes a little away from the clean lines and elegant cable management of the screen. Still, for those that want easy mode switching it's definitely a handy option and much quicker than venturing into the monitor's menus (and it's programmable so is actually a very versatile add on). 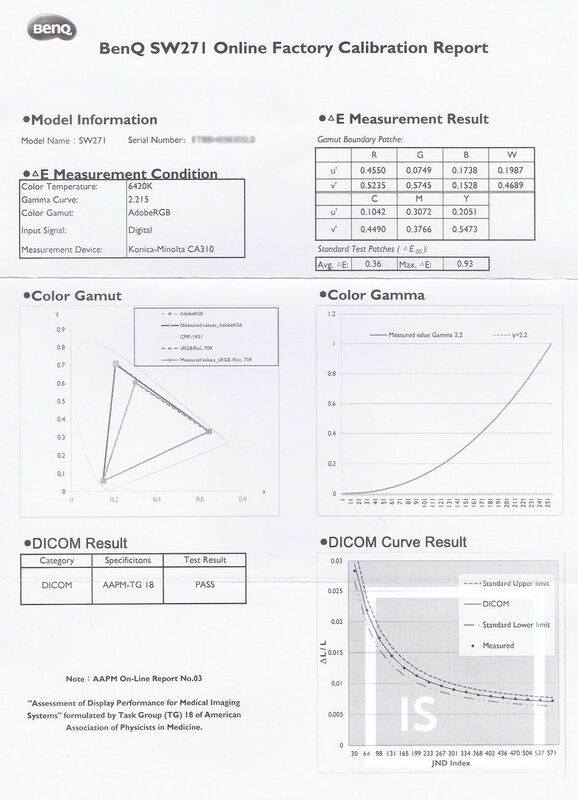 The BenQ SW271 comes with an individual calibration report. 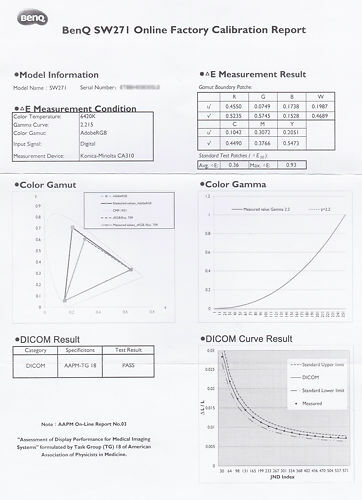 It shows you some fairly simple data about your particular unit, such as the measured versus desired gamma, the measured gamut, and the RGB primaries, as well as DICOM (medical imaging) performance. It's not hugely comprehensive (e.g. there's no uniformity test), but it's nice to see and shows BenQ are individually inspecting and testing each unit before shipping. In the past when we've seen monitor makers move to individual unit testing, we've seen a very significant reduction in units with issues reaching customers. 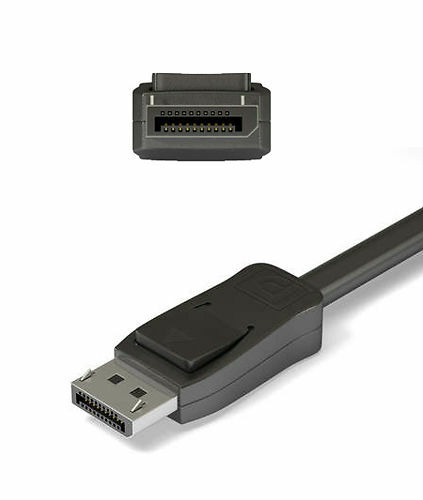 The BenQ comes with pretty much all the cables you're likely to need (see our In The Box section on our BenQ SW271 product page for a full list of what you get). Reboot your machine, and you should be good to go. As usual, it's a good idea to confirm (using the monitor's menu button -> System -> Information) that the monitor is getting the native resolution, and at the right refresh speed. In this case, you are looking for 3840 by 2160 @ 60Hz. This was immediately available in my case thanks to the excellent, stable nVidia Quadro card in my PC. If you're only getting 30Hz (common with older Macs, and older PC video cards), you will find that whilst this is usable, animations will appear quite sluggish and jerky. I'd strongly recommend you upgrade your hardware and get 60Hz support working if possible. The first thing I do with any monitor is calibrate it. In this case, this was done using BenQ's Palette Master Elements and an i1Display Pro. Palette Master Elements is a fairly basic piece of software, but it does the job most people need and it's easy to use. I connected my calibrator directly to the monitor's USB port (there are two USB 3 ports and an SD card reader - very handy!). You will need to download the software manually (there is a disc included with the monitor but I don't think this even has Palette Master Elements on it. I don't even load these up as few of our customers have disc readers any more!). A quick trip to the SW271 product page on our site will give you the link you need (in the Wiki section at the bottom of the page) - and the link is also listed in the product manual of course. 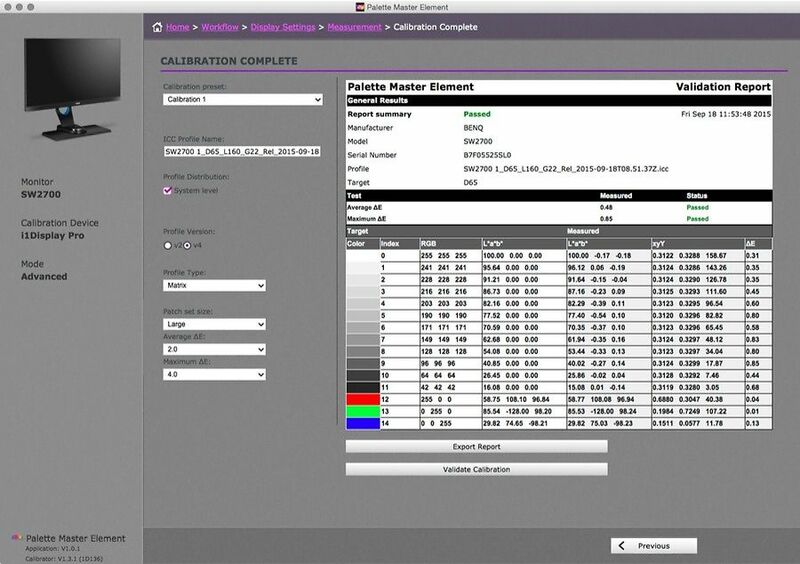 Once installed, use the guide from BenQ to follow through the calibration process. It is not difficult, but of course if you get stuck or need any help, you're very welcome to contact us. It is immediately obvious this monitor is very good. The first thing you notice is the very very crisp text the monitor renders. This is true of all 4K monitors of course, but some more than others really seem to excel at this (due to the nitty-gritties of back lights and sub pixel rendering approaches). The BenQ does quite well indeed here, with even the smallest text rendered sharply and without artefact. Everything takes on a much more magazine like appearance than on standard definition monitors. For me, this is in fact by far the biggest practical benefit of 4K - with images, you can see only subtle difference in many cases, but text is without doubt very significantly improved. One sticking point for many people with 4K monitors has been small user interface text - particularly in Adobe applications. Thankfully, in early 2018 with the very latest Adobe CC versions, on Windows 10 at least, that finally seems to be an issue of the past. Adobe are finally appropriately scaling their interface and the palettes have never looked better - crisp and clear and completely legible. Indeed, I actually found myself turning the UI interface size down for the first time ever. There are still very few, very old applications that misbehave with 4K, but nothing for which there aren't good alternatives at this point. If you've been avoiding 4K due to small text issues, you can largely put that fear behind you. The next thing I noticed was the impressive blacks. There's no hint of backlight bleed in normal lighting, and even with the lights off in my office the blacks hold up very well with only the faintest glow around the edge. Running at full contrast, this monitor would work well for general purpose video watching in all but the darkest of rooms, when pretty much all LCDs fail to stand up - dark room video watching is still very much the forte of Plasma and OLED screens. Overall, all aspects of the display are visually pleasing and as expected (...and if you're used to standard office quality monitors from the likes of Samsung or Dell or Apple, then you'd probably use the words 'absolutely stunning!'). Uniformity is a key part of overall monitor performance, and one that most standard monitors from Dell, Asus etc. fail in pretty badly. 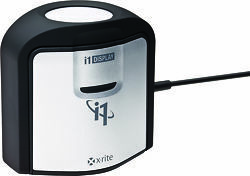 Your typical office monitor, when looked at carefully, will show noticeable colour and brightness uniformity issues, such as noticeably brighter centre areas, and a magenta cast on the left hand side. If you open four copies of the same image and place them in each corner, this quickly becomes obvious. In practise this means when you're editing a full screen image, you may find yourself making mistakes - like burning in the centre of your image slightly to (incorrectly) compensate for the overly bright display of your image in that area. The BenQs SW series is not a uniformity corrected series like the PV series. So, until such a time as a PV271 becomes available, it is a bit more of a roll of the dice when it comes to this aspect and SW monitors. To date, we've only seen a few SW271 sample and had feedback from a handful of initial users, so that's not a huge amount of data to draw on. With that said, uniformity of those we have seen and heard about is very good. Certainly the uniformity of our sample here is more than adequate for all but the most technical of imaging tasks. Side by side editing even of very difficult images (like toned black and whites) - is definitely possible and effective, and that's probably the most common task image editors will do that stress tests a panel's uniformity. Our unit is just a little brighter in the centre, but it's only very minor, and you really have to look for it to notice. I threw up all my torture tests on this screen in an effort to poke holes in this screen's performance and whilst it certainly is not as uncannily uniform as my Eizo CG277 (which is only 2K and costs more than twice as much of course) - at no point did I feel this slightly lower overall uniformity would have any great negative effect with typical image editing tasks for enthusiasts. Indeed, for a non uniformity corrected panel, it's really surprisingly good. The purist in me would still ideally choose a PV version of this screen when it becomes available, but in all honesty that might be more for a sense of re-assurance than anything truly tangible in the the way of performance. For a lot of enthusiast image makers, this is pretty much an ideal combination of features and performance at a previously unheard of price point. Honestly, there's really nothing much to put here! The screen surface is a little glossier than ideally I like in a colour accurate monitor. It's still not gloss, as such (or worse, glass!) - but it's definitely a bit glossier than the PV270 for example. There's little things - actual labels for the buttons, the hot-key puck would ideally be wireless, and a perfect version of this monitor would of course be uniformity corrected (and come with an individual uniformity report...which we presume the PV version of this will...)...but really, for a lot of enthusiast image makers, this is pretty much an ideal combination of features and performance at a previously unheard of price point. I'm not personally a huge fan of Palette Master Elements as calibration software - it's a little clunky in UI terms - but once you're used to it, it is simple to use and certainly does the general job just fine and offers enough flexibility for typical enthusiast image making use. It's compatible with both Spyders and i1Displays, which is a bonus if you already have an investment in a calibrator. If you don't then we strongly recommend you get the the i1Display Pro - it's by far the best calibrator choice currently. For a typical enthusiast photographer or image maker, this model really seems to hit every nail on the head and strikes an excellent balance between size, performance, features and especially price. $1699 is astonishingly cheap for a monitor like this. Indeed for most professional contexts, this screen would work very well. I can see many photographers using these as tethered studio shooting screens for example - where the excellent sharpness is perfect for live judging of critical focussing of modern high resolution digital camera shots. Of course, BenQ will release a PV version (and my guess is that will be late 2018) - and that will be even better again, and Eizo are also bound to finally release some 4k wide gamut models in their ColorEdge range - but of course all of those will be in quite a different price category most likely, and rumour has it that may still be a while. At this point, given the BenQ SW271s performance, it's finally getting much harder to argue against 4K. We've been rightly telling folks that for image editing work colour quality is much more important than high pixel density, and that is still without doubt true. BUT - we're now getting to the point, finally, that the one doesn't put the other out of reach. 2018 will truly be the year of 4k on the desktop for many people and there's no doubt BenQ have the best option available in this area right now. 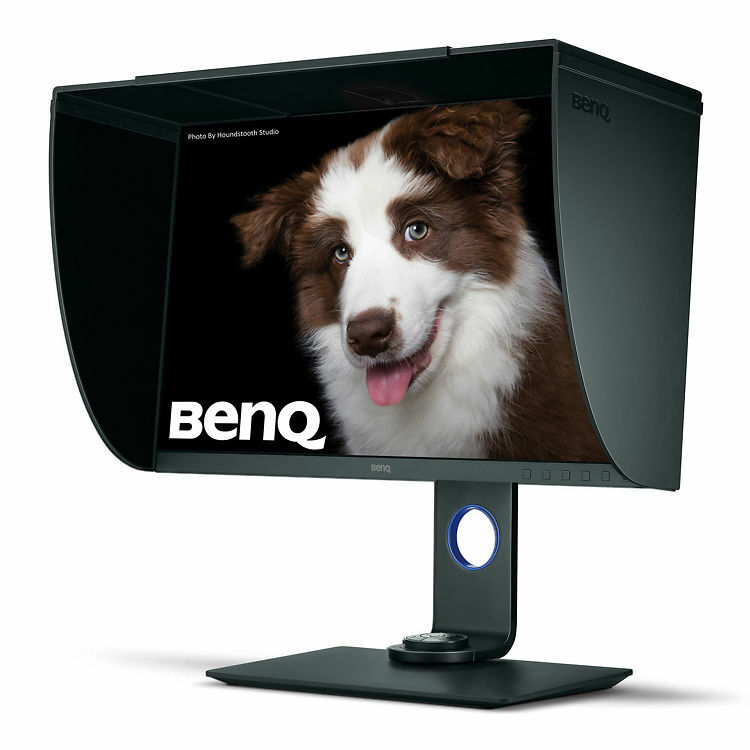 BenQ SW271s are shipping now at $1699 - with free shipping to anywhere in Australia! If you have any questions or want to discuss your needs, just ask! 4K, 27 inch, colour accurate monitor at a very aggressive price point - there's a lot to like about this new monitor from BenQ! Since our early view was posted, many other very positive reviews have appeared across the web. I just wanted to thank you so very much for the respect shown to my one little print. The colours and printing are amazing and the packaging was something to behold, never have I seen such careful and thoughtful wrapping!